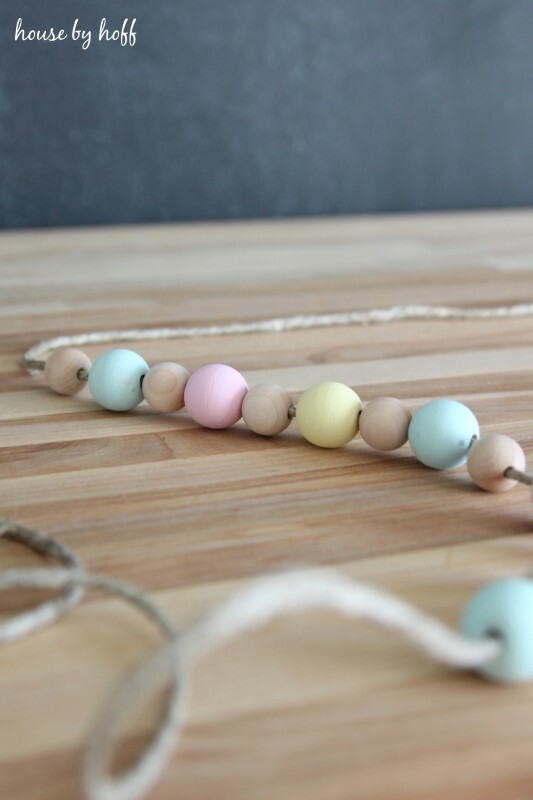 I have this thing for wood beads lately. I just love how they look strung together on twine. They look good bare, and they look good painted. They look good all mixed together too! 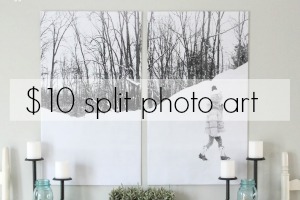 I’m in the midst of decorating my living room for spring. 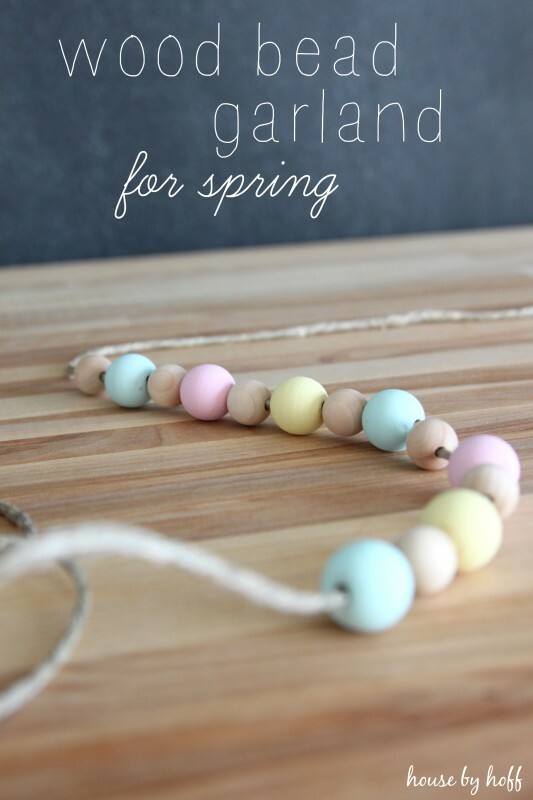 I wanted to bring in some subtle spring colors, and I thought a wood bead garland would be the perfect way to do it! 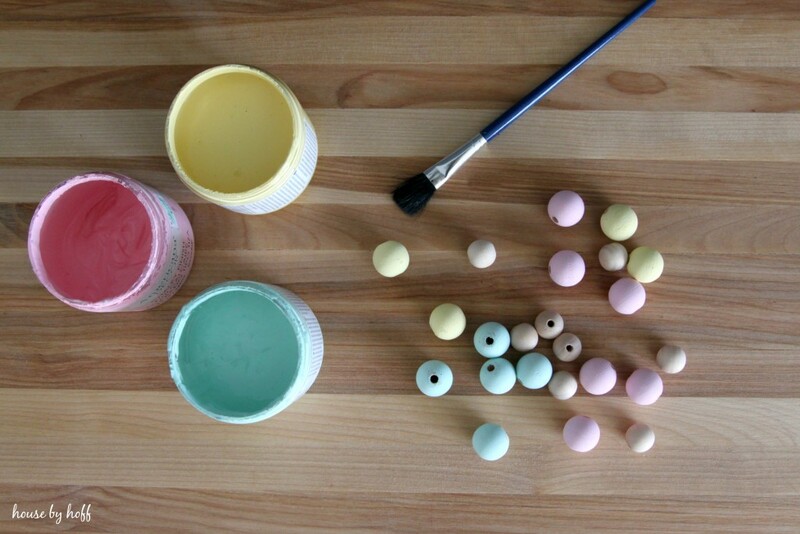 It didn’t take me long to paint the larger beads with some chalk paint. 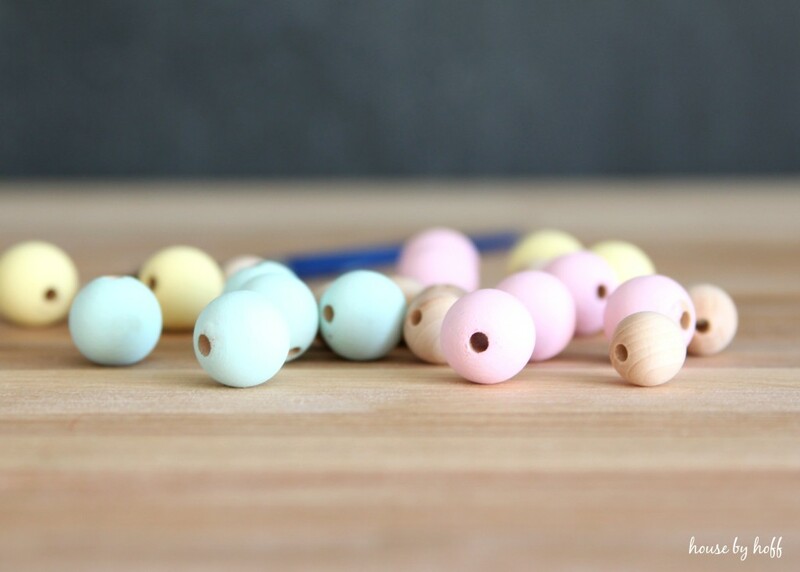 I left the smaller beads bare. 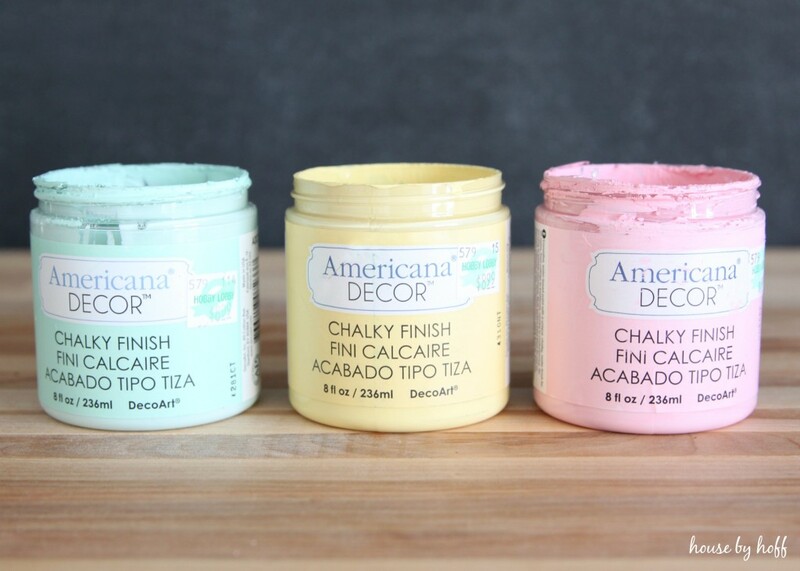 I used some of my favorite colors by Americana Decor to paint (available at Hobby Lobby) the beads: Refreshing, Delicate, and Innocence. How pretty, no? I had so much fun photographing these while Miss L napped last weekend! When she woke up, she helped me string them on the twine in a pattern. She is quite proud of this project, and I am too! 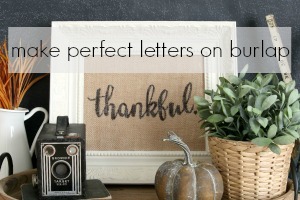 You’ll no doubt see these soon in my living room! 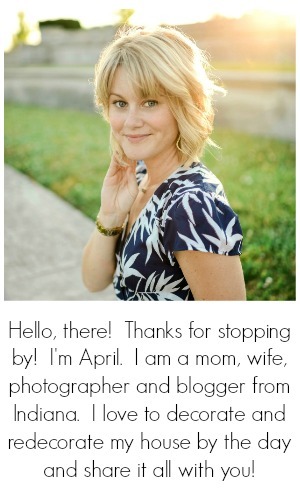 Hey April-I just love that idea!! So pretty and so spring!! Love these! What do you plan on doing with them? I would love to make but needs ideas. Thank you, I love you blog.